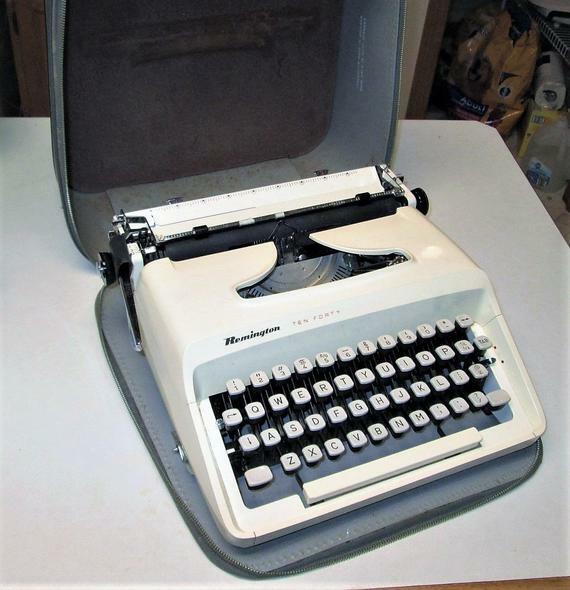 If you have been following The Old Remington by Beetley Pete Johnson.. then here is Chapter Ten… you can find the links to the previous chapters below the post.. Definitely worth going back to the beginning if this is your first visit. This is the tenth part of a fiction serial, in 1217 words. The encounter with the girl in the coffee bar had got Martin thinking. When he had been on his last dregs of cash, and hoped to make his fortune again by writing a book, where had that idea come from? He thought back to the time when he was making close to three-fifty a year as a stocks trader. He rarely read a book, and considered the best-seller lists to be full of writers who churned out formula books year on year, placing their cardboard cutout heroes into increasingly ridiculous situations simply to liven up the dull lives of people who were reading on the train, as they commuted to a job they probably hated. The reality struck him like a hammer blow. Yes, guranteed to get your mental cogs whirling or juddering! Looking forward to chapter ten.